The New Yorker's For Children held its annual fall gala celebrating 20 years at Cipriani 42nd street on September 15, 2016 with cocktails beginning at 6:30 PM. The New Yorkers For Children provides youth in foster care with the resources they need to thrive, and change the trajectory of their lives. There are nearly 11,000 children in foster care in New York City and more than 40% are over the age of 21. The organization assists older youth, ages 12 to 21, as they prepare to make their way into adulthood.Since its founding in 1996 by Nicholas Scoppetta, it has distributed more than $55 million to young adults throughout the city. 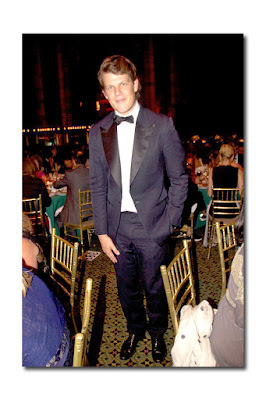 The evening honored James B. Milliken, Chancellor of The City University of New York-the nation's largest urban public university. 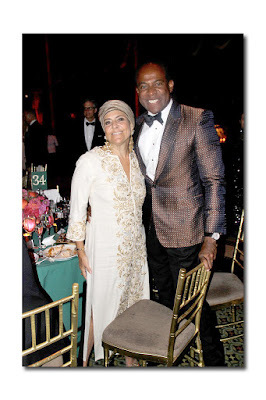 The night had throngs of socialites including: Alexandra Lebenthal, John Demsey, Jean Shafiroff, Christine and Steve Schwarzman, Christine and Richard Mack, Lisa and Michael Evans, Dayssi Kanavos, and so many others. This is the kickoff event for the gala season in New York after most of the attendees spent the summer vacationing in Europe and the Hamptons. Well known designers Victor de Souza, Wes Gordon and Frederick Anderson also attended after a busy fashion week with Wes choosing to show his collection via videotape instead of spending money on a fashion show or presentation. Other creative talent included a musical performance by Cobi who wowed the crowd with his enthusiastic singing. Moreover, the auction raised over $1 million in ten minutes with the well heeled crowd anxious to help those in need. The evening honored some of these promising adults with The Spirit Award: an educational scholarship awarded to a college-enrolled student who is or was in foster care. One of the night's recipients of the coveted Award was Shainek Edmundson, a former foster child who was recently accepted to her "dream school" Howard University, as a sophomore. Shainek wore a beautiful black gown with silver sleeves looking every bit the glamorous red carpet diva-hard to believe her deprived background. At the conclusion of the evening, DJ D-Nice spun some Madonna and Michael Jackson tunes while all the lovely ladies danced exuberantly. Upon leaving, Chloe, the sponsor of the evening, handed out perfume to the dinner attendees ensuring they smell perfect for the next awaiting gala.